The Houston Rockets lost to the Dallas Mavericks tonight, which is very bad and drops them to worst in the division, the state of Texas and the Western Conference (with the exception of the Phoenix Suns). The Rockets are very injured and have very little depth and for the moment are very bad. Danuel House, a signing from the G-League, played 23 minutes. They needed every minute of it. The Rockets are beaten, bloody, bedraggled, bruised and bad. Without Chris Paul, Gerald Green, Nene and Brandon Knight available, they were barely an NBA team, much less a contender. This team is in a horrible way, barely a week out of looking like they had turned the corner with 5 straight games. The injured players will presumably return. The useless players (Marquese Chriss, Michael Carter-Williams, Zhou Qi and the ghost of Carmelo Anthony) will presumably be dealt, waived or ignored as the situation requires. On December 15th, trading becomes much more viable. If there's any silver lining here, that's it. Otherwise, it's all just bad. 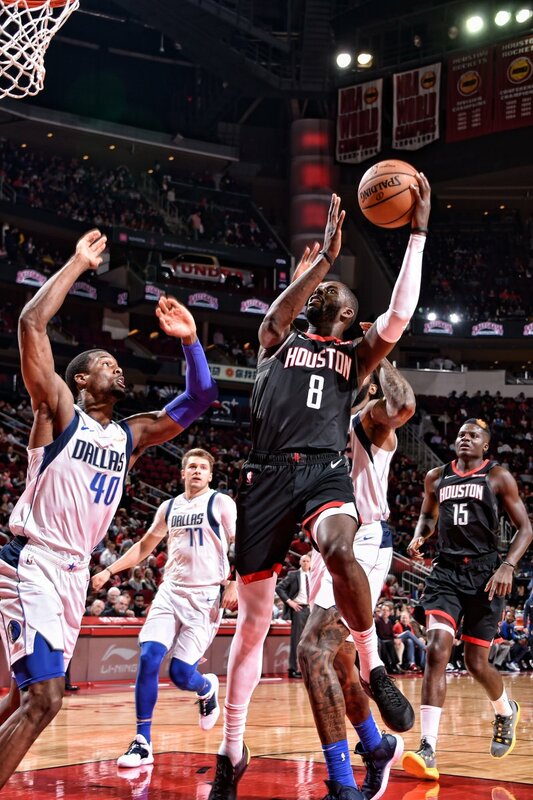 The Rockets are a mess, but recent history suggests they will be less of a mess when they're healthy, and they'll be less susceptible to injury once they shore up the roster a bit, whether by the presence of Nene and Knight or a transaction of some sort. This game was bad. James Harden had a triple double.